Davis Dalbok and his keen team from Living Green created a vertical garden masterpiece for a penthouse garden overlooking lively downtown San Francisco. This wildly imaginative collection of succulents, grasses, ferns and others delightfully frames a gilded centerpiece. 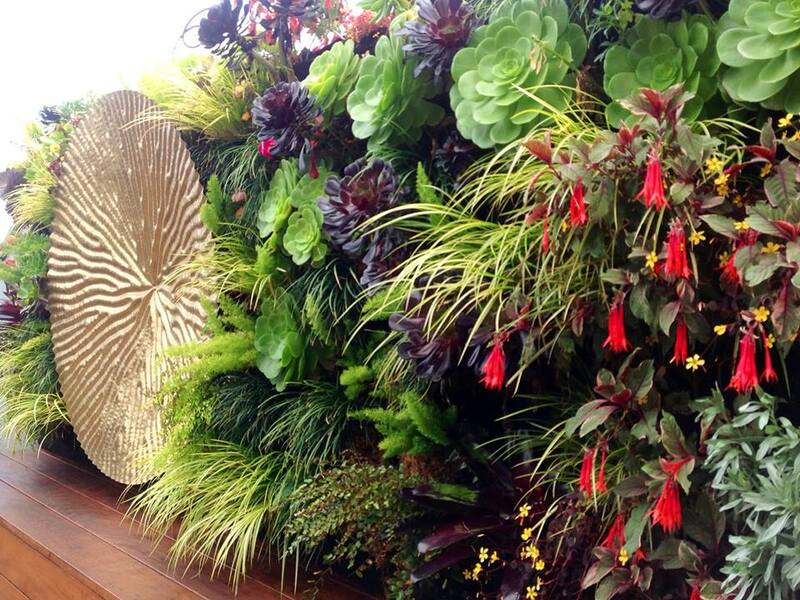 The vertical garden infrastructure consists of an array of Florafelt Vertical Planters that allow for the creative use of many types of plants that are artfully adjusted and sculpted throughout its life.